We’d been walking for hours after a misguided attempt to find the allusive ‘mud lake’ that took us off the path (a path, apparently that decided to disappear completely as we picked through the branches and stepped over fallen logs – nothing looked familiar as we tried to find our way back), and my nephew was getting scared. He kept looking to me like you might look at a stewardess during airplane turbulence to see if the plane is going to crash; I had to stay calm. In order to keep a clear mind, I future paced myself to a time when we were back home by the fire. We would be laughing at the adventure and thankful it was over. Future pacing sets a goal in the mind and allows you to work backwards – essentially, it helps to form a plan when everything seems to out of your control. First, choose an outcome you’d like to accomplish. Maybe you want to sign a new client, or get that promotion? 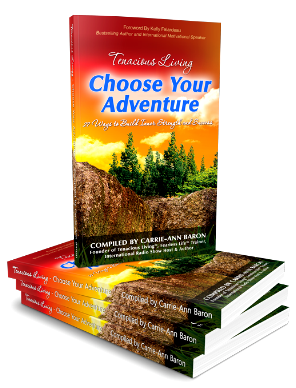 Maybe you want to start your own business? Maybe you want more joy in your life? Second, with your outcome in mind, picture yourself successfully completing that goal. How do you feel? Who is around you? Where are you in the future? Recognize your reaction. Did you feel awkward physically acting your success? If so, it may be because you’re not actually congruent with your outcome. This needs to be addressed. Ever heard that saying, ‘If you can conceive it, you can achieve it’? Well take that a step further, because in order to achieve our desired outcome, you need to believe it. Recognize your helpers. Who was with you as you envisioned your outcome? That’s a great sign of who on your ‘team’ might be an asset as you move toward your professional or personal goals. Work backwards. Now you’ve seen the success, imagine the steps required to reach that outcome. What opportunities are you ready to embrace? What do you need to learn to reach that level of success? Even when lost in the forest, future pacing cleared my head. I knew we would make it out okay and, because I knew that was possible, I could stay calm. This is the third of five tools for resilience – keep watch for the fourth tool. It’s all about lightening your load . . .
Have you ever future paced? Looking back on your life’s successes, can you recognize a time when you knew things were going to work well? Camille Boivin is founder of Sister Leadership, bringing herknowledge of resilience, perseverance, and changing perception to others. She aspires to help women explode their success. 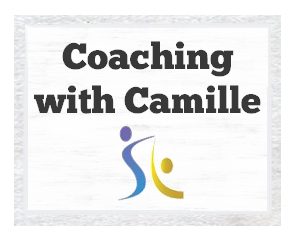 For more posts and experiences, join Camille at her Sister Leadership page, connect on Twitter, and follow on Facebook. Welcome to the Sister Leadership community! Ah, this is a refreshing technique for women (and men) to overcome fear of the unknown. Isn’t it just? Glad you enjoyed the idea of future pacing. Have you used this yourself, Karlyn?